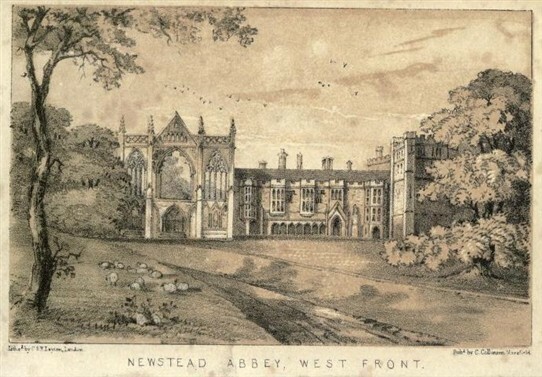 Newstead in 1900. 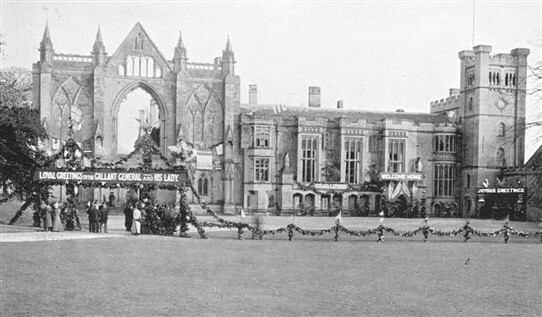 The decorations and garlands (it has been suggested) are in honour of the return of local hero Major General John Talbot Coke from the Boer War. The village of Spion Kop near Mansfield Woodhouse is named in honour of Coke. The Major along with his family had long associations with Mansfield and Mansfield Woodhouse. 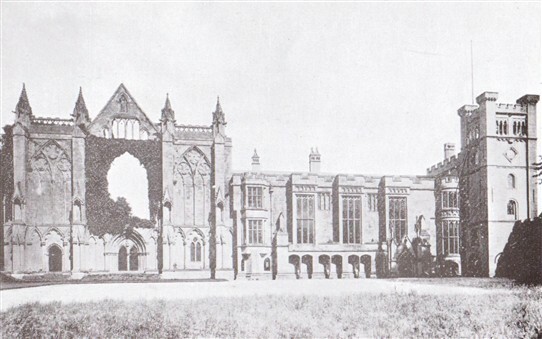 (His father was Colonel Edward Thomas Coke of Debdale Hall.) Major General Coke was born in August 1841 at Brimington Hall and he died in February 1912. He entered the army at the age of 17 and served for 42 years, he served with some distinction in the South African War of 1899-1900 (The Boer War). On the 23rd January 1900 he and his soldiers defended a place in South Africa called Spoin Kop, it is his victory in this battle that resulted in Spion Kop being named in his honour.